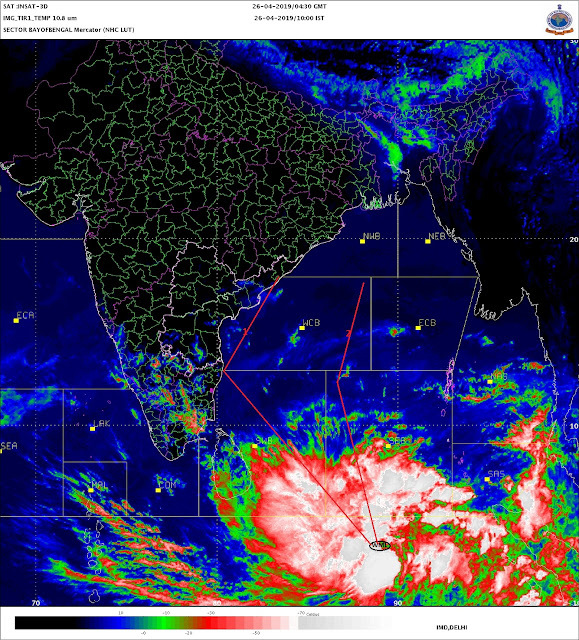 The IMD confirms on Thursday that a cyclonic circulation has formed over the Comorin area. A trough from this system runs thru extreme south peninsula. The latest from several models show that the low off Lanka coast would move north up the Indian coastline, and itensify a bit on November 8 and 9, and then merging into cooler waters off coastal Karnataka and getting stuck before weakening. The system then may curve over land into Maharashtra around November 10th.COLA/ NCEP predict along similar lines. As a result, Mumbai forecast for rain on Monday/Tuesday/Wednessday holds good. Rainfall upto 25mms could be expected on these 3 days in Mumbai. But a little more is in store for the rest of Maharashtra. The interiors of the state can expect rains from Tuesday, and some places in Pune/Solapur and the other districts of madhya maharastra can get 40-50 mms in these 3 days. Under the influence of the existing low, another low pressure is likely to form with a trough extending to southwest Bay of Bengal in the next two days. Most international models predict good more rains over the peninsula over the next week, with likelyhood of continuing precipitation over south peninsular right until November 20.
it may crank up to depression stength. But todays satellite imagery is not very encouraging reg. that too. South Mumbai got a mild drenching it seems today.